The relation of slavery to Brazil's economic and social history has long fascinated researchers. Zephyr Frank focuses on nineteenth-century Rio de Janeiro, where almost half of the city's residents labored as slaves of diverse owners in a complex urban setting. Slavery persisted in the Brazilian city, in part, because it was entrenched among upwardly mobile entrepreneurs who hired their slaves out for wages, employed them in family businesses, and bought and sold them for profit. Changes in the institution of slavery and the economy of the city gradually limited access to slaves, constricting avenues of social mobility for slaveholders and transforming the lives of the slaves themselves. Frank uses the experiences of one person, Antonio José Dutra, as an example of a middling urban slaveholder. Dutra, a former slave himself, owned thirteen slaves whom he employed in his barbering business and musical band. 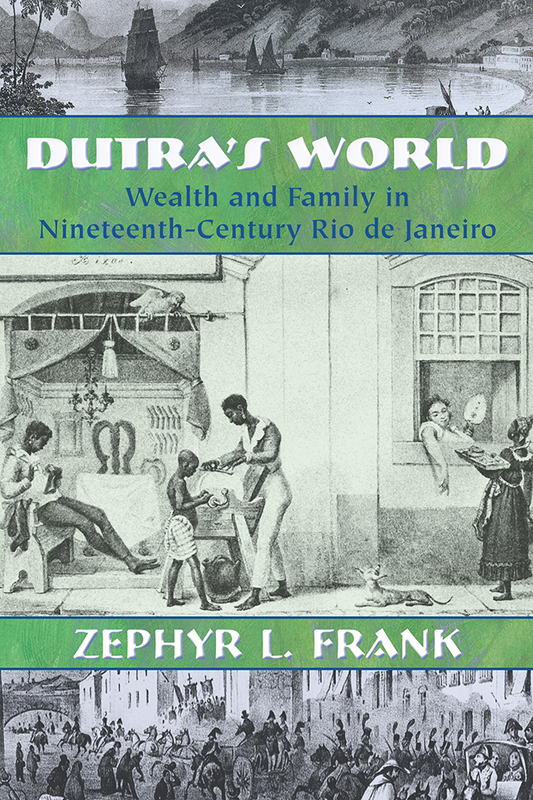 Dutra's story is part of the larger picture Frank paints of those who owned slaves, how they fit into the social and economic development of Brazil, and what slaves and their owners did as slavery rose and then gradually declined in Rio de Janeiro. Frank traces social mobility, race, class, and slaveholding patterns, basing his analysis on inheritance records. Rich in detail, these records reveal layers of historical meaning regarding the accumulation of wealth, social mobility, family ties, and the social and cultural practices surrounding death. Zephyr L. Frank is assistant professor of history at Stanford University.